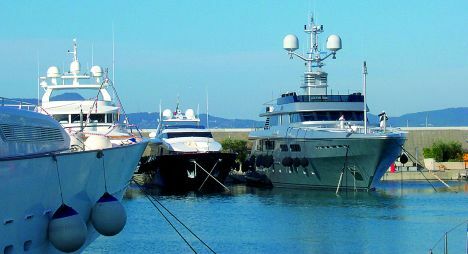 There has recently been a lot of talk, in the super and mega yacht world, of Telemar's 100% acquisition of Larry Smith Electronic's European subsidiary, LSE of Europe, operatively headquartered in Viareggio with a representative office in Brema. The U.S. based parent company, specialised in the manufacturing of integrated systems and electronic packages in the yachting market, went on the rocks in January. Telemar which had already been supplying its services and equipment to the Italian based HQ, was quick to seize the opportunity of buying it out. 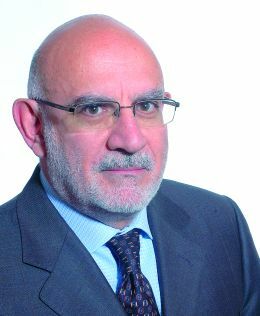 We gave news of this in our past issue, but to learn more about it, we met Mr.Bruno Musella, the MD of what is now a prestigious multi-brand group in the Italian nautical marketplace with an enormous potential. Was the takeover a long term target of yours or did you just snap at the opportunity as it arose? We had been looking for several years to find something specifically expert in this sector. To increase our share in the mega yacht sector I had suggested, not so long ago, to the board of directors that we should take such action. Our core business, is that of producing electronic navigational and communications systems for large ships, and Mega pleasure Yachts are the closest thing to them. We thus rose to the bait when the chance came. We now have an efficient structure which will be kept separate from ours even though we work with similar systems since their client approach is different. On the one hand we follow Larry Smith's example which has abundantly proved how ripe the mega yacht electronic market really is and for a number of other reasons. On a very expensive mega yacht, everything must be designed and studied beforehand in accordance to the owner's realistic requirements and put in place following the working progress, as the vessel is being built, wherever the yard may be. At the end of the process all the electronics must be carefully tested for maximum efficiency and have, above all, no problems as of the launching and the first outings at sea. To obtain such contracts, even the philosophical approach is different. One can no longer sit and wait for the client as one did in the old days hence the potential client must be stimulated to obtain the best. This way, he will not only save on changes to the system, once built, but he'll have an integrated system thus a more efficient one capable of feeding to any given point of the small ship all the electronic information possible on matters of communications, security and navigation. And on the other hand instead? Contrary to Larry Smith, Telemar wants to maintain a post delivery rapport with the owner ensuring him a package inclusive of assistance to the systems wherever the yacht may be at no extra cost. In other words a fully comprehensive service. Can you use the new brand also in the naval field? What other advantages are there to this acquisition? 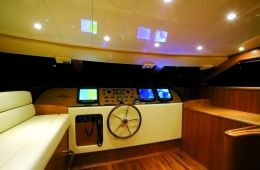 Thanks to Larry Smith's proven experience, Telemar Yachting can now integrate its wideband satellite systems, radar, compass correction and control mechanisms etc to electronic onboard entertainment systems, such as Television, audio and even network security systems which complete the whole electronic block regarding communications and navigation. We're already analysing how to best exploit the novelty in the shipping sector that we'll be assigned. Are you thinking of other acquisitions for your assistance services? In Italy we already have 14 offices in various locations and marinas such as Cala Galera and others. Abroad we can use all of Telemar's existing direct or non direct structures but we are indeed thinking of purchasing other assets in areas of interest to the large pleasure yachting community. We have in fact already created, Telemar Caribbean, in Santo Domingo, a base in northern Europe in conjunction with Larry Smith and are now considering purchases in the western Mediterranean, mainly in France, Spain in Palma. It's important to us but moreover fundamental for our clients to have the outmost certainty of a qualitative service specially in terms of timing. What turnover did Larry Smith have? Not a very high one around three and a half million euros which we are confident we'll double within two or three years. If we add ours to it, in a few years time, we should become the largest concern to assist super yachts. What is your opinion of the team acquired in Viareggio? It's a very expert closely tied team which I'd say is enthusiastic with 133 components headed by a very clever Canadian. Even in difficult moments nobody left the company. They are all very motivated by the new thrust and proud of their jobs and with good reason considering the list of the yachts that they've dealt with. At the moment which boats of renown have you got under contract? Telemar Yachting is working with Azimut, it is on board a 50 metre Perini as well as having completed another Perini, the 88 metre "Maltese Falcon," Lurssen's 67 metre "Oasis," a Feadship and many other mega yachts. At present eight projects are underway in different yards. Do the different laws in force in different countries create you problems? Absolutely not. We're helped by the fact that we are used to working in shipping thus under stringent regulations. If an apparatus doesn't work, port authorities won't allow you to leave. Since we have this schooling we are certainly in a position of advantage and I'll add more on this very apt question, if I may. As known, there is a new ruling regarding large charter yachts. Those vessels under many aspects are considered to be ships and since we habitually do it for ships, we are clearly in position to provide the charter yacht's owner with all the required certificates. A system of ours is certified and valid worldwide. As members of UCINA we hope to be able to lend a hand in this respect. As a matter of fact there were many issues which proved to be disappointing. Does Telemar Yachting have its own research centre? It has an excellent self sufficient technical department as far as design is concerned specially as earlier mentioned for the entertainment systems. Telemar has its Research and development department too for its navigational and communications systems but we want to keep the companies separate so as not to confuse our objectives. Do you hold training courses? 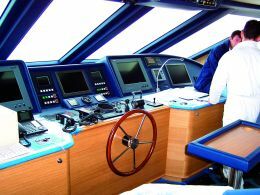 Yes, we train personnel with a one week course which we'd also like to institute for Yacht Captains also because if you really know how to use all these systems they're of extreme help, if not, the human factor will continue to be the weak link. What investments have you foreseen to strengthen the business? Since the initial investment to purchase the company was fairly modest, it will allow for investing resources in development and new research technology applicable to this specific sector. Will the future see you quoted on the stock market? In every company people toy with ideas but at this moment in time Telemar has sufficient financial means to be autonomous and can adequately support this investment as well as others.